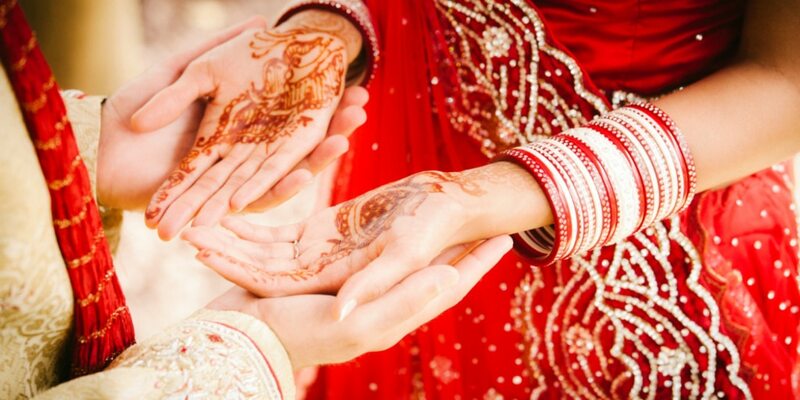 In Hindu culture, the sacrament of marriage (Vivaah Sanskar) is not considered simply the union of two individuals, but rather the union of two families. This involves the transition from the first period of life dedicated to study and education to the second period devoted to building a family. The culminating moment is the Saptapadi (Seven Step), where the bride and groom take seven steps around a sacrificial fire to signify their vows. With each step they pray for a different blessing such as wealth, happiness, and devotion. Everything comes to life under a marvellously decorated mandap, a covered structure with four pillars symbolizing the four parents who worked hard to raise their children. Capri, with its stunning natural beauty and its breathless sea-view venues, is the perfect place to celebrate a Hindu wedding, (whether a traditional ceremony or one with a more modern touch). The island is in fact rich with outdoor places. Wherever you turn, you can find the perfect spot for an unforgettable and stylish Hindu ceremony. Particular attention will be devoted to built a fabulous mandap. We will create a colorful and lush setting with flowers, chandeliers, precious fabric, and drapery lights to create an intricate and stunning atmospheres for your Hindu ceremony in Capri. The most talented and creative professionals will be selected for you with the utmost care: catering specializing in Indian food, upbeat and exciting music proposals (dj, dancers, live band), makeup artist and hair stylist, flower designer, and more. Capri island will also give you the opportunity to host an energetic and fun Sangeet party at a gorgeous venue, and Capri Moments will help with every detail. We have the resources, the knowledge and the experience to assist you in finding the perfect location and to design a seamless and truly memorable event.